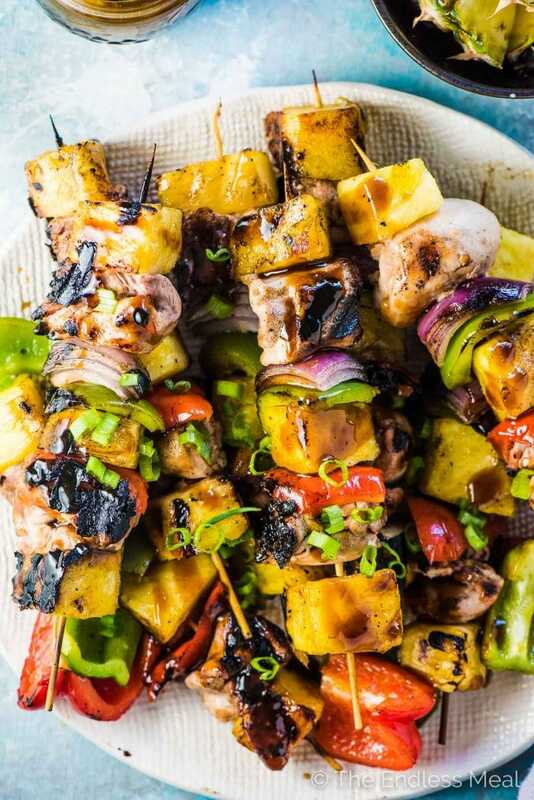 Grilled Hawaiian Chicken Skewers are threaded with juicy marinated chicken, sweet pineapple, and crunchy peppers and onions. 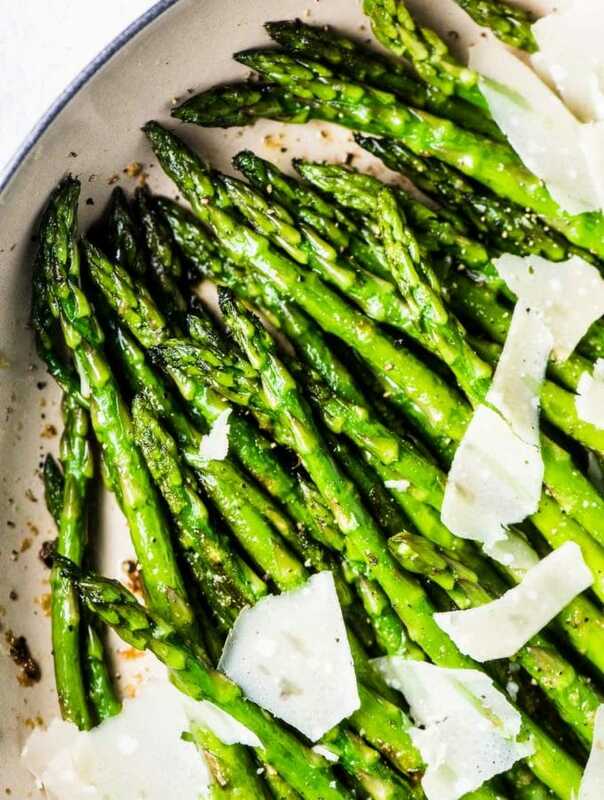 Once they're grilled to perfection they're drizzled with an easy to make (and refined sugar-free!) 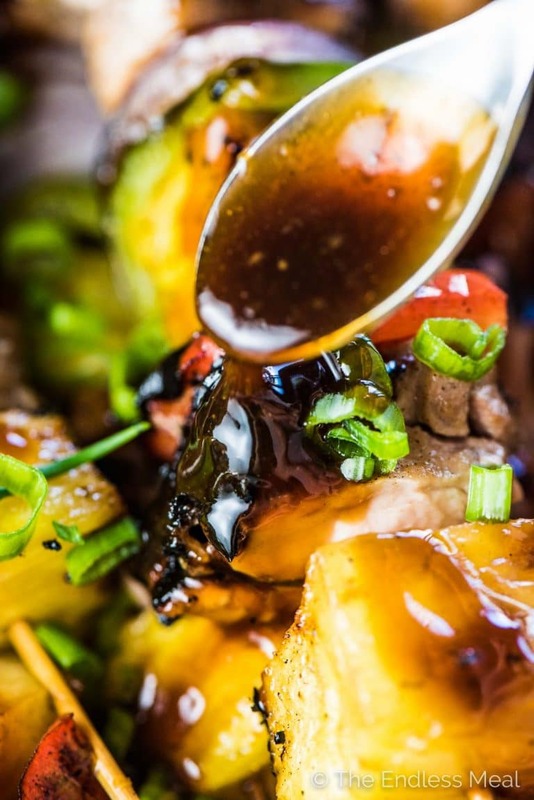 tasty teriyaki sauce and served with either coconut rice or healthy coconut cauli rice. Summer is here and it's time to fire up the grill! This is my favorite eating season, mostly because of the deliciously charred anything that comes off the BBQ. 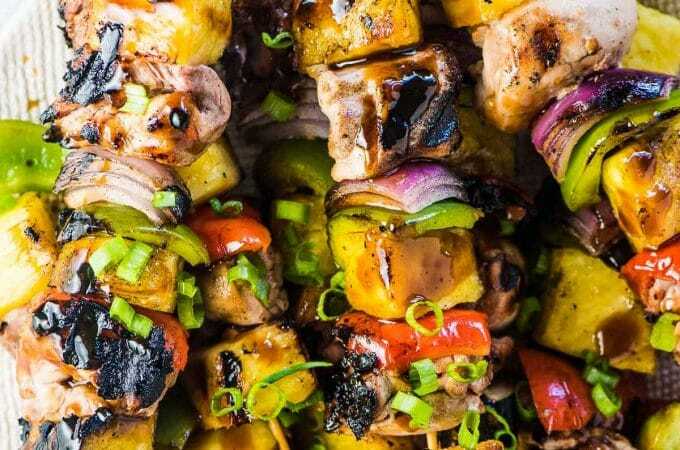 What the heck are grilled Hawaiian chicken skewers? 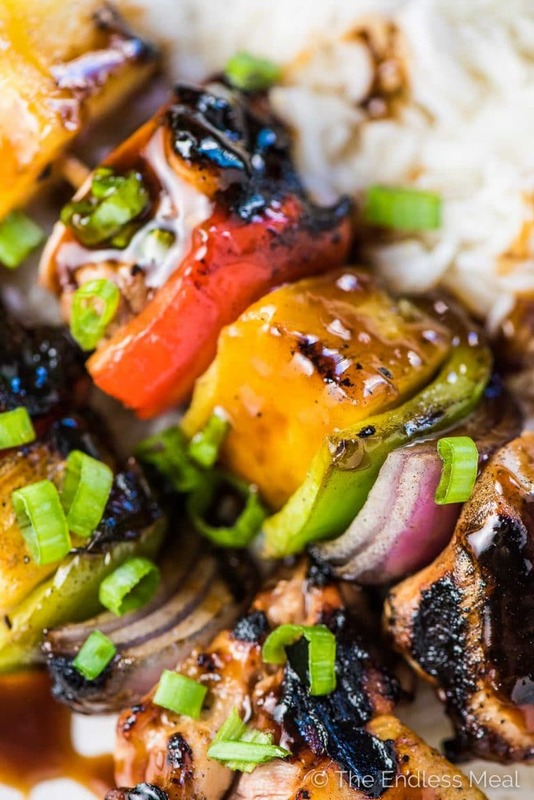 All the sweet, tropical tastes of Hawaii grilled on a kebab. 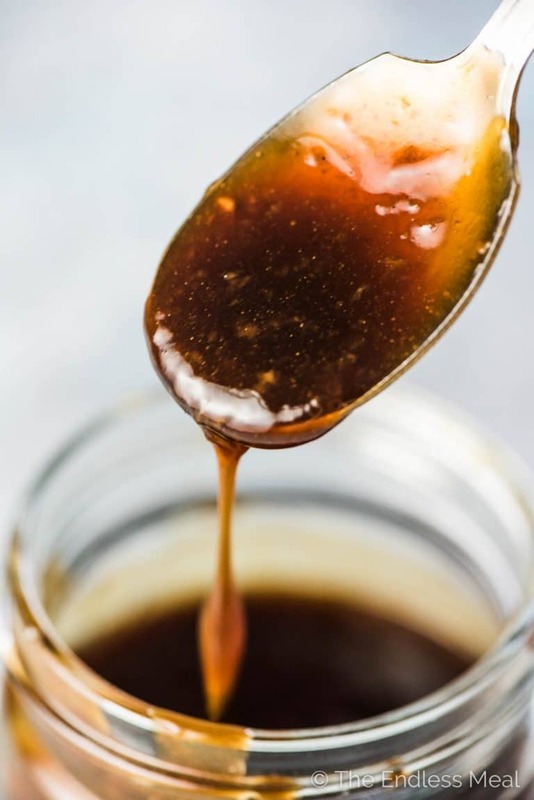 A super easy to make teriyaki sauce that has no refined sugar. Pineapple! and lots of it cause grilled pineapple is all thing amazing. Tender pieces of marinated and perfectly charred chicken. BBQ peppers and onions. 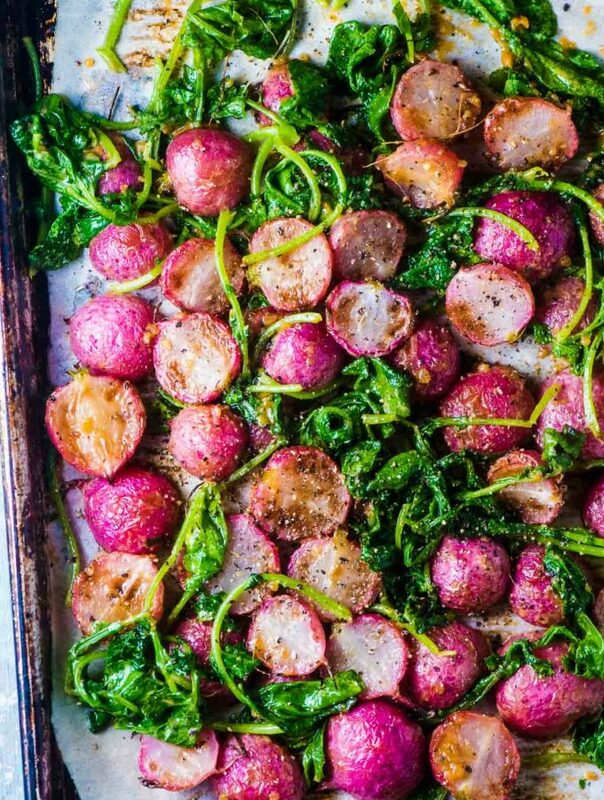 We can't get enough of grilled veggies! Gluten-free and paleo, cause that's often how we roll around here. But honestly just forget I ever said that and just make these because they're freaking delicious. See that teriyaki sauce up there? That is summertime magic. It's sticky and sweet and full of flavor. It's also super easy to make.
? Put the 6 ingredients in a pot and bring it to a boil. That's it! I'm serious. This is a one-step and done teriyaki sauce. There's really no reason to ever buy store-bought teriyaki sauce again! Just look at how delicious it is! ? Want some more delicious grilled chicken recipes? We clearly have a thing for grilled chicken around here! 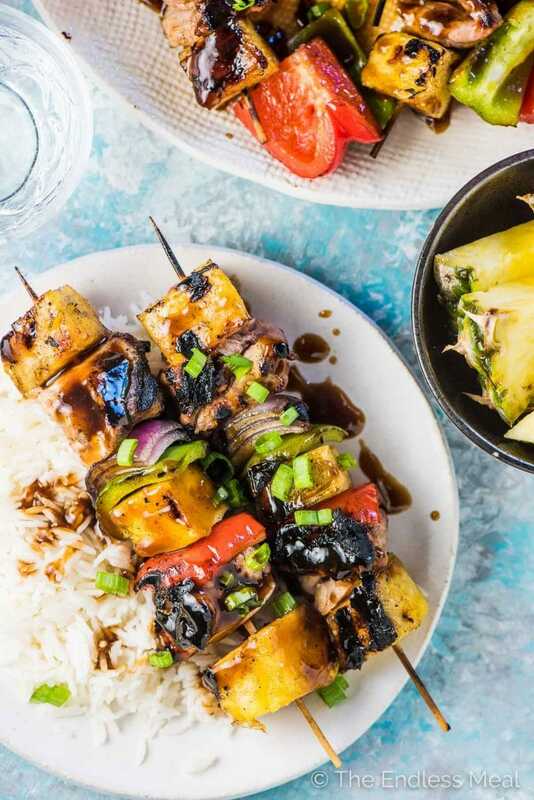 If you love this Hawaiian Chicken Skewers recipe as much as I do, make sure to give them a 5-star review in the comments below! Add the honey, soy sauce, rice vinegar, ginger, and garlic to a small pot over high heat and bring it to a boil. Mix the tapioca starch with the cold water in a small cup and add it to the pot. Once the sauce thickens remove it from the heat. Cut the chicken thighs into 3-4 pieces each and put them in a bowl. Pour 1/4 cup of the teriyaki sauce over the top and mix well. Let the chicken marinate while you chop the veggies. Preheat your BBQ to medium-high and oil the grill. Thread the chicken and veggies onto skewers. Grill them for 10 minutes, flipping the skewers halfway through cooking. Serve the skewers with the teriyaki sauce drizzled over the top. Coconut rice: 1 cup basmati + 1 cup water + 1/2 cup canned coconut milk. Cook the rice according to package directions. Coconut cauliflower rice: 1 head of cauliflower riced + 1/2 cup coconut milk. Simmer the riced cauliflower in the coconut milk until the cauliflower is soft and no liquid remains. Delish! First recipe I’ve made from your site, and won’t be my last! Made this recipe tonight. Simple, fast, and so damn tasty. We used some fresh basil from the garden as garnish, which went well with the coconut rice. Loving the variety of dishes I can find on your site. Thank you so much! And good call on the basil. Yum! This chicken is like crack! I could eat the whole batch myself haha. 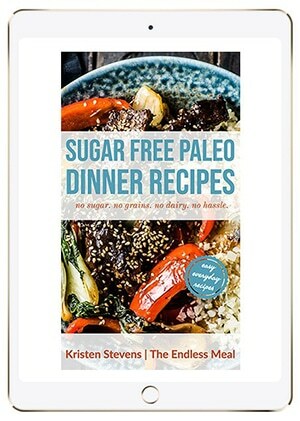 Love finding paleo recipes that are this good!